Pompey the Great, (106 BCE-48 BCE), was one of the most important figures in the Roman Republic. He was one of its greatest generals and most important statesmen. Pompey, received the epitaph the Great, for a remarkable series of victories that expanded the Roman Empire in the east, he also ended piracy in the Mediterranean, stabilized Spain and developed a food supply system for the ever-increasing metropolis of Rome. Pompey was a prodigy and achieved much by an early age. However, his career ended in failure and death. Pompey, he tried to preserve the old order, but his defeat by Caesar and his death made the fall of the Roman Republic inevitable. Pompey’s family belonged to the senatorial class and they were particularly powerful in a region to the east of Rome, Picenum. The family had many clients in Picenum and they could raise a private army from their supporters. This area was the power base of Pompey and allowed him to play a key role in the Republic. Pompey’s father, was an ally of Marius in his war with Sulla and during the conflict he was able to extend his lands and number of clients. However, Pompey’s father suddenly died and Pompey inherited all his lands and a private army. He changed sides in the civil war and attached himself to Sulla and the aristocratic cause. He later joined Sulla with three legions that he had recruited in Picenum and he helped Sulla to recover Rome. Pompey gained a reputation for brutality as this time. Sulla later ordered him to regain control of Sicily and the Province of Africa from forces loyal to Marius . After Sulla’s retirement, Pompey became one of the most powerful men in the Republic. He used his army to obtain a command from the Senate in Spain. In Spain, he defeated the Marian supporter Sertorius. Pompey returned to Rome and he was increasingly worried by the failure of the senatorial class to provide competent government. When he became consul he repealed several measures of Sulla and limited the power of the senatorial class. At the time the situation in the east was deteriorating. Pirates had practically brought shipping to a halt and this threatened Rome’s food supply. 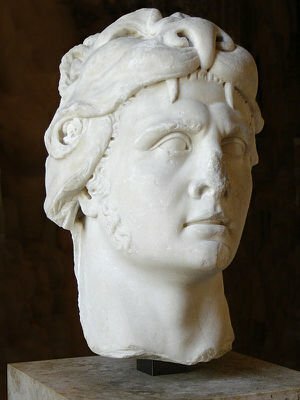 King Mithridates IV of Pontus , in Anatolia (modern Turkey) although defeated by the Roman general Lucullus was still threatening Rome and her allies. In 67 BCE, the Senate voted that Pompey be given an extraordinary command in the east. He first acted against the pirates and attacked their main bases in Cilicia (in modern south-eastern Turkey). Pompey ended the threat from the pirates. He then turned his attention to Mithridatesnand defeated him and forced him to escape to the Crimea. Pompey annexed the territory of Mithridrates and created a new Roman province out of his kingdom. Later he conquered the Seleucid Kingdom of Syria and turned the Judean Kingdom into a client state. Pompey returned to Rome, for a Triumph and was acclaimed as Pompey the Great. He tried to secure land for his veterans but he was blocked by many senators, who disliked him intently. To secure his aims, he entered an agreement with Julius Caesar and Crassus. This arrangement the First Triumvirate brought some stability to Rome. Between them the trio managed to secure their own appointment to key positions within the Roman Republic. They had their own supporters appointed as governors and the three men effectively ruled the Empire. Pompey was able to secure command of legions in Spain and was able to reorganize the region. Later he could develop a new system to supply Rome with food and this saved the city from famine. Caesar was able to secure an army for the conquest of Gaul. The First Triumvirate ran into trouble with the defeat and death of Crassus in Parthia. The Triumvirate ended when Caesar refused to disband his armies after his conquest of Gaul and he marched on Rome. Pompey led the senatorial opposition to Caesar, despite his earlier poor relations with this group. He was forced to flee Italy. In 46 BCE. he was defeated by Caesar at the Battle of Pharsalus in the Balkans. In 48 BCE, he was assassinated in Egypt by a renegade Roman soldier. Pompey with another commander helped to end the rule of Sertorius. He was a supporter of Marius and he has been able to win the support of the native Celtiberian tribes. Sertorius proved to be an excellent commander and he was able to carve out an independent state for himself in Spain. Pompey played a critical role in the defeat of Sertorius and his successor and reintegrating Spain into the Empire. Pompey was a gifted administrator and he reorganized the Provinces in Spain. For the first time the Romans were able to effectively govern Spain. 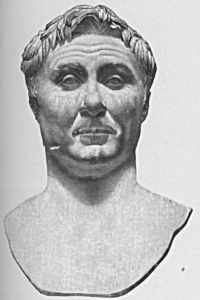 In the words of Plutarch, ‘’he remained in Spain long enough to quell the greatest disorders and compose and settle such affairs as were in the most inflammatory state’’  Pompey also established a patronage network in the region and this greatly extended Roman influence among the many disparate Spanish tribes. During the course of the war with Sertorius, Pompey had pacified tribes that had long defied Roman rule. Pompey conquered large areas of the Near East. Among the territories that he conquered were part of Turkey, all of Syria, Lebanon and Israel. He established a system for administrating these newly conquered territories. He established new provinces such as Syria. He appointed governors and established a Roman administration in these new provinces. Pompey was quick to see that the Jews in Judea would not accept direct Roman rule. He therefore created a ‘temple-state’ centered on Jerusalem. A priestly-elite controlled Judea and they served the interests of Rome. Pompey did not absorb all the territories that he conquered, especially most those kingdoms that had been part of the Empire of Mithridates or his allies. Pompey believed that these territories could be effectively directly ruled by Rome. After the death of Mithridates in 63, he established a series of client kingdoms. He made his protégé Tigranes king in Armenia, who paid Pompey very well for the honor. The Roman General also turned the Bosphoran Kingdom in the Crimea into a client state, it would stay a client of Rome until the mid-4th century. Pompey also established a series of protectorates in the Caucuses, such as Colchis (modern Georgia) on the Black Sea. These client kingdoms and protectorates created a defensive frontier system that was to last for more than half a millennium. Pompey was the architect of the Roman East and this is regarded as his greatest achievement. However, he is widely blamed for a great diplomatic mistake. 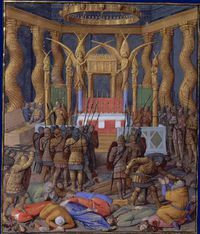 During his conquest of the Roman East he met with envoys of the Parthian Empire. This was a large empire based, in modern Iran and Iraq, that had a formidable army. The Parthian King offered Rome a peace treaty but Pompey rejected this with great arrogance. Many at the time believed that this led to many conflicts between Rome and the Parthian Empire, in subsequent decades and centuries . Pompey was very important in the development of the Annona or the supply of free or subsidized grain for Roman citizens. The city’s hinterland was unable to grow enough food for the city and it is estimated that up to 90% of the city’s food had to be imported. Pompey played a crucial role in the development of the Annona. He was entrusted during his war with the Pirates to safeguard the seal lanes. He cleared the Eastern Mediterranean of pirates. He then turned his attention to the food supply of Rome. Pompey established a system whereby grain from Sicily, Egypt and North Africa was exported to Rome by sea. This grain was then distributed to the populace of Rome. Pompey used this grain to secure support in the city and to establish social stability in the city. This food distribution system that was first developed by Pompey the Great was briefly abandoned but was resurrected during the reign of Augustus. It was to remain in place for several centuries and played a key role in Rome’s economy, society and even politics. Pompey had many achievements but perhaps his most significant contribution to the history of Rome was his role in the Civil War with Caesar. Pompey, despite his previous clashes with the senatorial class was appointed leader of the Republican armies. The Republican forces sought to destroy Caesar and to restore a traditional form of government in Rome. The Republicans were very divided and the only thing that they had in common was that all hated Caesar who they saw as a would-be tyrant and rebel. Pompey was the military commander of the Republican army, he was given command because of his previous successes . However, Pompey was no longer a young man and had not seen active service in many years. He strategy in the war with the Caesar has been widely criticized. The Republicans had been taken by surprise by Caesar’s bold advance on Rome and they had never expected him to cross the Rubicon, this action started the Civil War. In this war the Roman legions turned on each other, in the words of the poet Lucan ‘Rome's high race plunged in her vitals her victorious sword’. Pompey had very few legions at his disposal and he decided to leave Rome and abandon Italy and this even surprised Caesar, who could not believe his luck. The Republicans then set up base in the Balkans and assembled a large force by extorting money from allies such as Egypt and Rome’s client kings. The Caesarian army was able to land in modern day Albania. Pompey displayed some of his old military skill to inflict a minor defeat on Caesar. The battle was significant in that it left the Caesarian army in a perilous position, with its supplies running low. The Republican legions did not press home its advantage and it allowed Caesar to regroup and launch an attack. Pompey had missed the chance to inflict a heavy defeat on the enemy and possibly end the war. It is possible that he may not have been able to act decisively because of interference from the many Senators who were present in his headquarters. 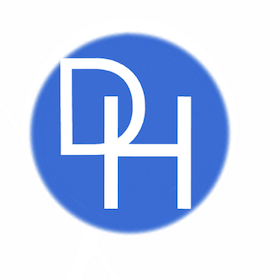 Plutarch believed that the Republicans and especially Pompey had become overconfident ‘’ Pompey…… wrote to distant kings and generals and cities in the tone of a victor’’ . However, Caesar was a military genius and Pompey was simply out-thought by one of the greatest commanders of all time. Pompey and his army was totally defeated by the Caesar at Pharsalus. After this battle, the Republicans were no longer able to challenge him and he was master of the Roman Republic, although some Republican forces continued to resist the Cesarean army for some years. The failure of Pompey in the Civil War meant that the fall of the Roman Empire was inevitable. Pompey had failed to save the Roman Republic in his war with Caesar. After Pharsalus, Caesar and later his heir Augustus began establishing the Imperial system in Rome. Pompey was one of the most important figures in the Roman Republic. He did much to consolidate the empire and greatly enlarged it. He stabilized Spain and expand the Empire to the East. His settlement of the East was a remarkable achievement. Pompey’s settlement of the east determined the history of the Easter Mediterranean and Black Sea for at least 500 years. As a politician, his impact on Rome was mixed. His most lasting contribution was the establishment of the Annona or grain distribution network in Rome. Despite his many and lasting achievements, Pompey failed to stop Caesar. He made several strategic and tactical mistakes in the Civil War and this led to not only his own death but also to the downfall of the Roman Republic.